Martial artist Gaetano Tom Silluzio, 56, of Olean, NY passed away peacefully at his home on Monday, February 22, 2016, after a lengthy and courageous battle with cancer. Tom was born on March 31, 1959 in Hartford, Connecticut to the late Luigi and Angelina Spada Silluzio. He married his wife June Ingenito Silluzio on September 16, 2000. Tom was an active member of Saint John’s Roman Catholic Church in Olean where he also served as a Eucharistic Minister. Tom loved being around his family and friends, enjoyed dancing and all genres of music. 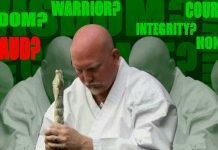 Sensei Tom Silluzio was a committed and loyal instructor at AKT Combatives Academy in Olean, NY. As an instructor, he was admired, respected and loved by everyone. His infectious smile and continuous encouragement motivated others to always do their best. Tom’s drive, determination and tenacity inspired others to overcome their own difficulties. Sensei Tom had a giant spirit that embraced everyone he met. His compassion for others was an inspiration to all. He embodied the true traits of a martial artist by living with honor, integrity and loyalty. Despite his tremendous talent and abilities he had a genuine humility that made him approachable and adored by all who knew him. Tom epitomized the meaning of selfless service; always championing for everyone else’s success and putting others needs before his own. Sensei Silluzio initially began his martial arts training 1981. 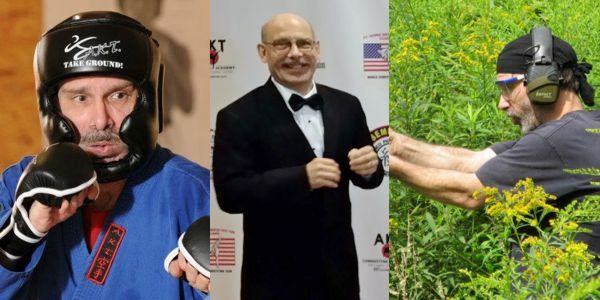 He had attended numerous seminars and training events such as Grappling for the Striker, Advanced Hand Gun and Knife Defense, BJJ Grappling Seminar and Warrior in the Woods training camps on several occasions. 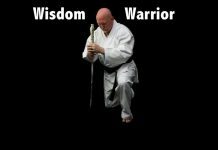 He also trained in Tai Chi and ultimately received his 2nd Degree Black Belt in AKT Combatives and was working towards his 3rd Degree Black Belt when he became ill.
Because he faced adversity with dignity and continued to inspire others during the biggest battle of his life, Tom received the Warrior Spirit Award from the USA Martial Arts Hall of Fame in March 2015. In recognition of Tom’s life and continued legacy, the USA Martial Arts Hall of Fame has now initiated the “Sensei Tom Silluzio Warrior Spirit Award” that will be awarded yearly to a martial artist who exemplifies the same attributes as its namesake. Sensei Tom Silluzio was a true example of living life as a Peaceful Warrior, and will be deeply missed in the martial arts community. 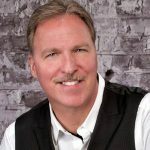 Bestselling author of Beyond Self-Defense, Grandmaster Barry A. Broughton, PhD is the founder of AKT Combatives-Jujitsu. Featured in Who’s Who in the Martial Arts: The Legends Edition, he has been inducted into multiple Martial Arts Halls of Fame as well as an Honorary Inductee in the Bare Knuckle Boxing Hall of Fame. Broughton is the Head Coach of Team AKT-Sport Jujitsu Team and was a coach for the 2017 Gold Medal/World Champion US National Jujitsu Team. 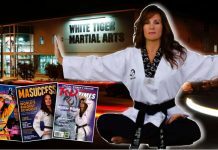 To schedule a leadership or martial arts seminar with Dr. Broughton visit www.AKTcombatives.com.